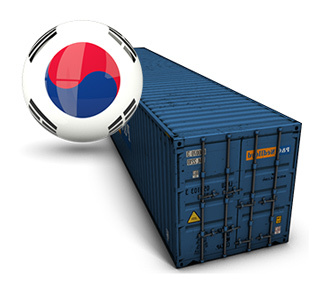 Are you interested in prompt delivery of goods from Korea? Contact the company "Association of Customs Brokers." Selection of transport, taking into account the characteristics and size of the consignment. Calculation of optimal routes to ensure strict observance of the declared terms of delivery. Assistance in customs clearance of goods delivered from Korea. Organization of loading / unloading, consolidation, and other procedures. "Association of Customs Brokers" cooperates with many logistics companies and carriers that are well suited to this area. You can be sure, working with us, missed deadlines, lost goods and other adverse events are excluded. Our company has experience in the organization of deliveries in Russia from Korea various products. Talk to us, there you are interested in delivery of cosmetics from Korea, the organization of transport vehicles and spare parts, transportation of medical and technological equipment, furniture and so on. The company's specialists will organize all the goods in view of features, ensuring their safety and the implementation of the agreed deadlines. Maritime transport, including with the use of different types of containers. By Air. 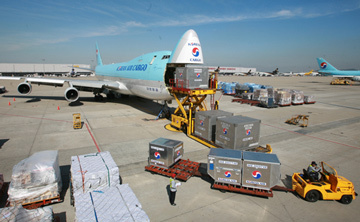 Air delivery from Korea - the most rapid way. Also, if necessary, we combine different ways of delivering goods from Korea to maximize the precision of the timing and customer convenience. In this case, the issues related to congestion at intermediate points and consolidation of cargoes we undertake. An effective system of cargo tracking, which allows the customer to control the execution of the order at all stages of its implementation. Support for the procurement of goods and you are interested in checking foreign counterparts, which gives confidence to the client in a successful transaction. Fulfillment of all procedures related to the organization and execution of freight, in strict accordance with the requirements of laws and other acts. Able to get everything that you need advice on the transportation of goods to Russia from Korea. To find the preliminary cost of the services of the company "Association of Customs Brokers", use the online calculation of shipping prices. To clarify it, and get answers to any questions regarding this procedure, please contact our managers. "Association of Customs Brokers" - your partner, you can rely on the organization of the delivery of any goods from Korea to the Russian Federation and the Customs Union.